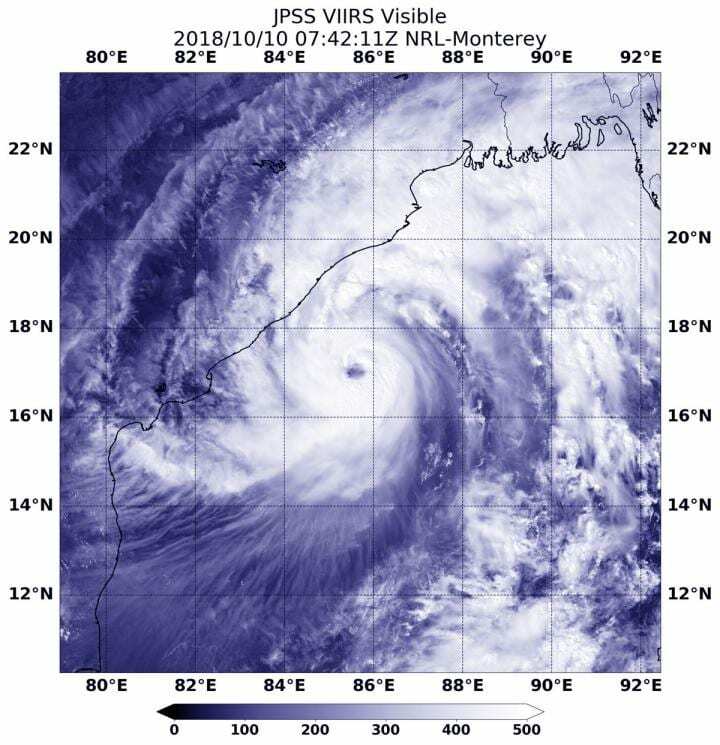 Tropical Cyclone Titli formed late on Oct. 9 and continued to strengthen as it moved through the Northern Indian Ocean toward the Indian continent. NASA-NOAA's Suomi NPP satellite provided a visible image of the storm. Suomi NPP passed over Titli on Oct. 10 at 3:42 a.m. EDT (0742 UTC) and the VIIRS instrument provided a visible image. The VIIRS image showed Titli had quickly strengthened and developed an eye surrounded by powerful storms. The Joint Typhoon Warning Center or JTWC noted, "Satellite imagery shows the system continued to rapidly intensify as it maintained an 18 nautical mile wide ragged eye and expansive rain bands that wrapped tighter into the center.